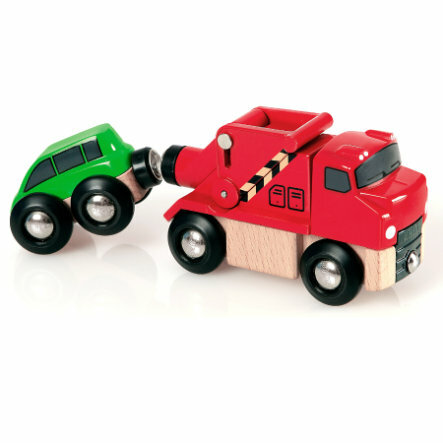 This tow truck makes BRIO roads even more fun. Lift the car with the magnetic tow function up in the air. Not suitable for children younger than 3 years. Contains small pieces. Choking hazard!